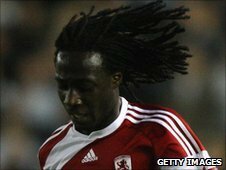 Swansea City have signed former Dutch Under-21 international winger Marvin Emnes on a one-month loan deal from Championship rivals Middlesbrough. The 22-year-old, who cost Middlesbrough £3.2m when they signed him from Sparta Rotterdam in 2008, trained with Swansea on Monday ahead of the move. Emnes is available for their match with leaders QPR on Tuesday and is new boss Brendan Rodgers' fourth signing. 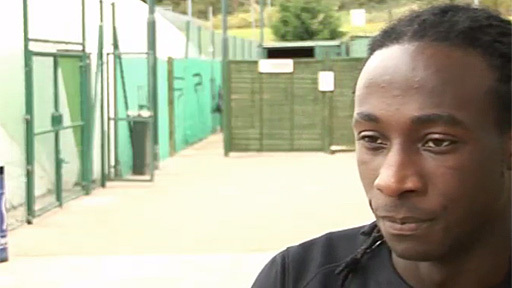 "I need to play games and that's why I'm here," said Emnes. The player says he has an option to remain at Liberty Stadium for two months beyond the month loan, depending on Middlesbrough. He said: "I spoke to the manager [Rodgers] before I came and we both agreed that the way Swansea play will suit my style. "I like to play on either wing, left or right, and create one on one situations with defenders because my pace is good for me. "The team is doing well at the moment and I know I will have to wait for my chance. But I need to play games and that's why I'm here. "Hopefully I can score for Swansea as well,'' he said. "I played with Kemy in the national side,'' he added. "I know him very well. Rodgers said: "We've got a few young players in the squad who are not going to last every minute of every game. "And I just feel we lack pace on both wings when Scott [Sinclair] or Nathan [Dyer] aren't playing. Marvin has a lot of pace and can go past people in one on one situations.